Cherestanc Square has defined a new public realm in Garstang connecting the High Street with a new landscaped carpark and a new Booths supermarket, shops and offices. 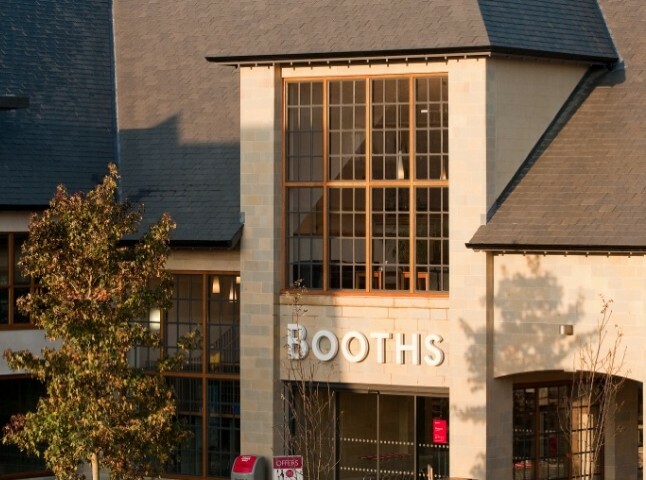 The close working relationship between Booths, their Planning Consultants, Designers and planning officers resulted in a highly successful rejuvenation of an area of Garstang close to the historic Town Centre. 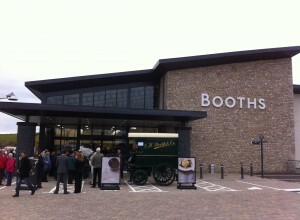 The scheme includes a high quality Booths supermarket constructed in local materials including sandstone, render, Cumbrian slate roof and oak and metal windows. 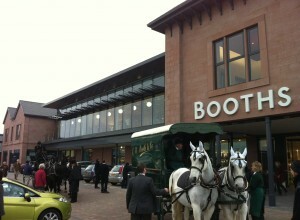 Three new shops with two floor of offices define part of the new Town Square. The Square includes stone seating and pebble mosaics.